In this 2nd feature in our series on the Experience Economy we explore how Disney theme parks and resorts embraced a digital transformation to reengineer a better consumer experience, and are now reaping the rewards. In our first article in the Experience Economy series, we explored the dramatic shift in consumer interest away from physical products to experiences and the tremendous value it's unlocking for companies. 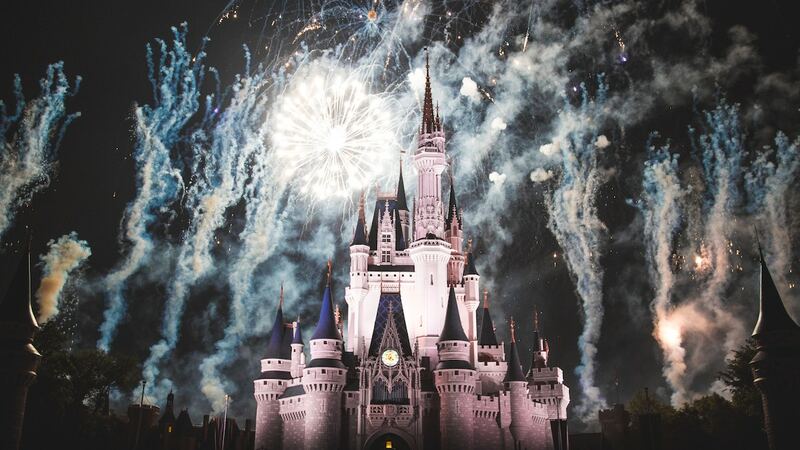 In this article, we highlight one of the world's most iconic brands, Disney, and how they embraced the experience economy at their parks and resorts with great success. Flashback ten years and Disney photography operations looked very similar to photography business models that we see across the industry today, including school, youth sports, portrait, and event photography. 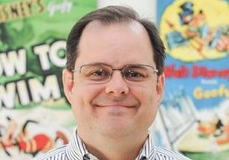 As a 20+-year Disney executive, Rob Mauldin, now Strategic Advisor with CaptureLife, knows the story well. He was Director of Imaging for Disney Parks and Resorts during the transformative period from 2007 to 2017. Prints/Products: Like the traditional photography industry, Disney led with the sale of physical print products produced and delivered on-site. On Site Sales: If you've visited an amusement park or attraction in recent years, you've experienced the model where the entire focus is on sales made before you leave the venue. In Disney's case, you were directed to a photo shop when leaving the park where you could view and purchase photo prints. Business Centric: An easy trap to fall into, Disney's old business model was characterized by limited capture and printed products and packages that tried to maximize average spend. But these ultimately forced their guests into choosing between the memories that they wanted and those they could afford. Scarcity: The focus was on a few "money shots": a posed family portrait with the Cinderella Castle at the Magic Kingdom in the background, a posed picture of the kids with their favorite Disney character, or specific rides that featured cameras to capture the thrill and action. Photographers were limited to pre-determined locations, hoping guests would be willing to purchase those memories as a printed photo keepsake of their visit. Transactions: The model emphasized a transaction. The sole focus was on selling printed products in Disney photo stores on the same day they were taken and before the guest left the park. And each park had separate, transactional photography experiences. Rob Mauldin and the broader Disney team recognized the dramatic shift in consumer behavior and expectations. They concluded that some dramatic changes needed to be made to the existing business model in order to fuel the type of guest satisfaction and revenue growth Disney expected. "Disney has always been fanatical about listening to guests' feedback and adapting the experience to drive more value for both the guest and the company. We were hearing very consistent feedback, and the message was loud and clear." Your shopping experience is difficult. We stand in line enough, don't make us wait in another line on the way out of the park to get our photos. We want all images taken on Disney properties in one place. We want the images delivered to our phones quickly where we can easily savor and share them. Don’t make me choose between my memories – they're all important to me. We want more photo opportunities. "The Disney vacation is typically one of the highlights of the year for families," Rob continues. "The memories captured hold tremendous value for guests and we needed to take the constraints off the business model to create greater engagement, satisfaction and revenue growth." The changing trends and feedback drove Disney's digital transformation. And it was a bold move, given the entrenched operations, processes, and business model that had been in place for years. Many companies would avoid this type of fundamental shift or adopt "incrementalism," resulting in an agonizing scenario where the frog (the company) is caught in a slowly boiling pot of water over a long period of time. While their business evolution didn't occur overnight, if you've been to Disney in recent years you can't help but be delighted at the new experience. All the key characteristics of the previous transactional model were transformed to a new consumer-centered experience. "If you think about the transformative experiences that are wildly successful today – like Starbucks, Uber, Amazon, and Netflix – they've really set the bar for what consumers expect in a modern experience," says Mauldin. "They want convenience, choice, simplicity, an abundance of content, a great shopping experience, and a social experience." 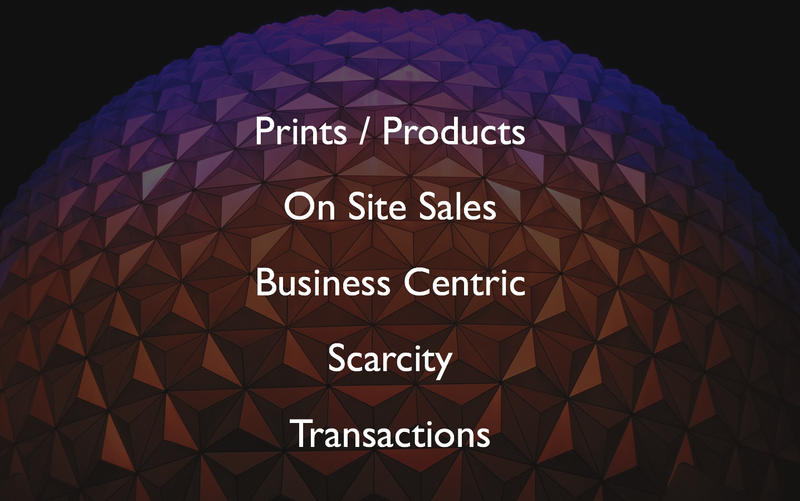 Rather than waiting for sales to occur on site as people are leaving the park, the majority of sales now happen online before people arrive and when they have yet to view a single image. Why? Disney repositioned the former a-la-carte, print-driven and transaction-focused business into a fully integrated and branded service called Disney PhotoPass. This new "all you can eat" abundance model aligned much better with consumers' expectations. Guests pay $199 ($169 if you purchase before you arrive), and that gives them every digital image that is taken across all Disney parks and resort properties. Disney increased the number of photographers and capture locations, and just as important, trained the photographers to take many more photos at each interaction. Rather than leaving with 10 to 12 prints under Disney's old scarcity model, typical guests now get 100+ digital images, and it's not unusual for savvy users to get 1,000+ images from a week-long vacation. Technology was a huge enabler in Disney's digital transformation. Sales and engagement moved from physical products and retail store shopping to a web and mobile app experience. 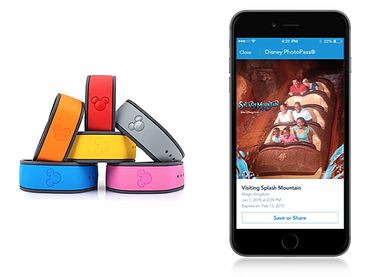 Disney made a strategic decision to embed their photo delivery inside their native app at both Walt Disney World and Disneyland. This elevated the PhotoPass service into Disney’s integrated digital experience, putting it in the hand of every Disney guest. This new emphasis on digital images delivered to the mobile app also means their ability to enable new experiences and offer new products is endless. For example, in addition to the abundance of professionally-captured memories that now arrive on guests' phones in real-time, Disney is continually introducing new digital products, including video, custom borders, and filters to grow both engagement and revenue. The impact has been dramatic. In what was a growth-challenged part of the business, Disney has significantly grown revenue and opened up new strategic value and uses for their images – recently providing photos as part of their premium annual pass holder packages. This drives significant traffic to their native apps which is the key component of their overall digital strategy. More importantly, Disney has significantly strengthened their intimate connection with guests – delivering more magical memories, and driving loyalty and purchasing beyond the original experience within their properties. There is one element of Disney’s experience, however, where they are not extracting full value. Disney takes hundreds of millions of photos a year and has likely taken over a billion photos over the past decade…and they have deleted them. Like many other theme parks, cruise ships, and school and event photographers they are erasing millions of important memories every year, and undoing a critical link to the consumer. The photography industry is going through dramatic changes today because of the same trends that Disney responded to ten years ago. Some see the shift as a bell-weather for the future of the industry. For those businesses that understand and embrace the Experience Economy, like Disney did, the new opportunities will be there. "Moving from transactions to experiences changes the positioning of the service that photographers offer consumers. And it represents a huge, untapped potential for photography businesses," concludes Mauldin. "Technology is the critical enabler of this transformation. What attracted me to CaptureLife is that their platform already delivers the elements that Disney spent years and tens of millions of dollars developing. The fact that companies can leverage this sophisticated technology to quickly transform is really exciting to me." Stay tuned for the next feature in this series. We'll dive into specific ways that today's photography businesses can unlock the potential of the Experience Economy. We hope you will join us!